The activities accomplished in 2016 within the scope of the programs conducted by the Undersecretariat for Defense Industries according to the Report are as follows: In 2016 the Qualification/Acceptance Tests continued as part of the Altay Main Battle Tank program, Prototype (PV1) tank and 10.000 km mobility tests were completed, firing tests of the defined scenarios were executed with the PV1- PV2 tanks and the proposal assessment report of the proposal within the context of the serial production period activities were prepared, and the System Qualification and Acceptance Tests are anticipated to be completed in the first quarter of 2017. The report also stated that in 2016, within the scope of the “Anka” Development project, endurance of 21 hours was achieved with a payload of 238 kg; it was accomplished on 14 October 2016 and the acceptance tests of the unmanned air vehicles with Anka-B configuration were completed successfully; the technical data package acceptance activities of the Prototype No:1 and Prototype No:2 aircrafts as part of the “Hürkuş” program were finalized; for the critical design revision stage as part of the Indigenous Helicopter program an agreement was reached with the contract, an understanding based on the military and civil certification was also reached with the contractor; serial production activities as part of the “Korkut Project” which is a Self-Propelled Low Altitude Air Defense Gun System were launched; Calls for Proposals for the serial production of Fire Control Radar and Procurement of the 35 mm Airburst Ammunition (AIC and OMPMT) Procurement Projects were issued, the proposals were collected and the evaluation process was in progress. In addition, the Kiev/Ukraine office was included as part of the SSM international cooperation and coordination offices that were established for the coordination of the export and promotion activities in various regions. Important information on upcoming programs soon to be launched were noted in the report as well. 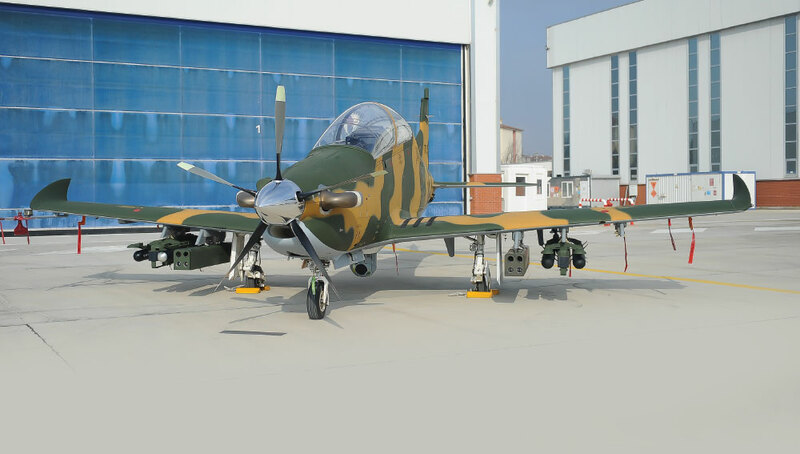 As part of the New Generation Basic Trainer Aircraft (Hürkuş-B) project, the activities for the development of the avionic systems such as the Central Control computer, Multi-Functional Display MFD and digital communication system were finalized and the tests and preliminary acceptance of the equipment will be initiated. Additionally, the report mentioned that the preliminary activities and certain points concerning the launch test contract for the Hürkuş-C aircraft were completed and as of November 2016 the decision was made to have the Armed Hürkuş-C project launched in a manner to support the close range air support operation concept of the Land Forces Command. Also reported, as part of the development of the landing gear of Hürkuş Aircraft; the design, development, testing and verification, qualification of the landing gear compatible with the aircraft and readiness of the documentation related to the landing gear, were targeted and that to this end the Call for Proposal was issued, the bid proposals were received and that the assessment activities were in progress. In the report it was mentioned that the deliveries of the Smart Micro Munition (MAM) were initiated and that the utilization of the delivered Munitions by the UAV systems had started within the scope of the Long Range Anti-Tank Missile (UMTAS) project and also the integration activities for the Laser Guided UMTAS (LUMTAS) to the “Atak” helicopter were accomplished. Moreover, it was underlined in the report that as part of the Spacecraft Assembly, Integration and Test (USET) Project, acceptance of a major portion the test systems (Acoustic Test System, Mass Properties Measurement Test System, Mechanical Ground Support Equipment) at the USET Center was completed and that the final acceptance of the USET Center will be completed within 2017. The report also declared that the system development and production stage activities were in progress within the scope of the Multifuction Phased Array Radar (ÇAFRAD phase-1) Project as well. The report also disclosed that the Micro/NANO UAV procurement regarding the unmanned smart system procurement was gaining impetus. Within this context, the procurement of 40 Multicopter Micro UAVs and 10-system Nano UAV was accomplished. According to the report, as part of Turkish Security General Directorate Armored Vehicle procurement program, the acceptance of 100 Ejder Yalçın vehicles was completed in 2016 and also the acceptance procedures of the 65 Cobra-II Armored Vehicles were finalized in 2016. 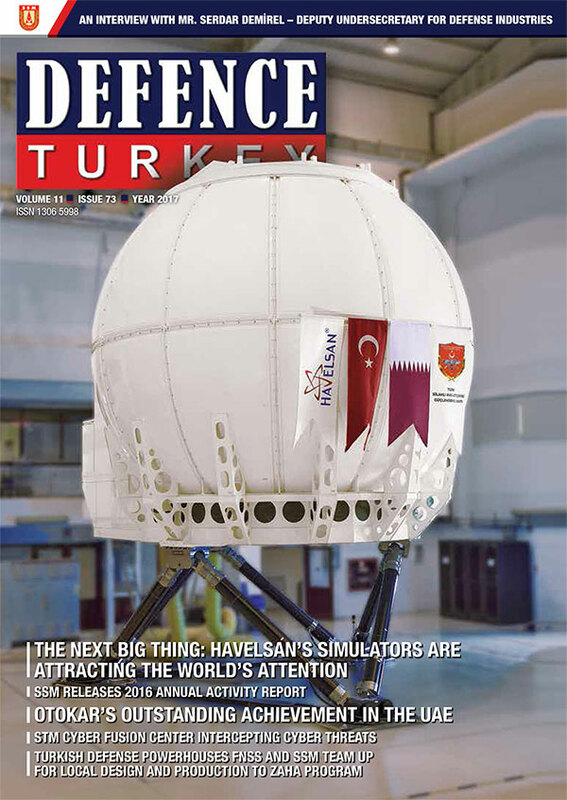 The report also included that in the Three Dimensional Search Radar project, conducted by the MEMS Department, procurement and integration activities of 8 three dimensional search radar were completed, the construction and acceptances of the İstanbul Identification Center and Ankara Operation Center within the scope of the Coast Guard Command’s Coast Surveillance Radar Project, the procurement activities of which are in progress and VHF Radio Factory acceptances were accomplished, and the Radar Factory Acceptance Tests launched on 20 December 2016 were completed on 28 December 2016. Among the critical technologies exported abroad last year, the acceptance of the 2 prototype Aselpods as part of the “Aselpod “Advanced Targeting Pod Electro-Optical Reconnaissance, Surveillance and Targeting System development and integration program launched for fulfilling the requirements of the Turkish Armed Forces was also accomplished in 2016. The report touched upon the activities conducted under the auspices of the Fixed-Wing Platforms Department as well. It stated that within the scope of the C130 Avionic Modernization project (ERCİYES), the acceptance of the 2nd prototype aircraft was completed and delivered to the procurement authority and thus the prototype phase had ended. The report reflected that as part of the system upgrade of the “Peace Eagle” Airborne Early Warning and Control Aircraft, the retrofit activities of 3 Peace Eagle aircrafts were completed and that regarding Maritime Patrol and Coast Guard Aircrafts’ task equipment procurement and platform integration (MELTEM-3) project, three sets from the task equipment packages were delivered to the Leonardo Company. The report discussed the activities conducted as part of Life Cycle Management, announcing that through the PDL approach, EHTES logistical support and Command Control Aircrafts Logistical Support agreements were signed and that project execution activities were in progress. It was stated that the activities continued concerning the Long Horizon Logistical Support Project, KT-1T Trainer Aircrafts Logistical Support Project, Coast Guard Boats Stabilized Machine Gun Platform (STAMP) Systems Logistical Support Project, KORNET-E Anti-Tank Weapon System Logistic Support Project, Airborne Early Warning and Control Aircraft (HİK) Depot Level Maintenance Capability Acquiring and 2nd Lot TIHA (MALE) Direct Procurement Project. In the Activity Report, it was also disclosed that for the implementation of the Life Cycle Management principles at early stages of the procurement projects, activities regarding the establishment of long term logistical support strategies and responsibilities within the context of the maintenance - operation period regarding the development programs namely the New Generation Basic Trainer Aircraft “Hürkuş-B”, Indigenous Light-Class Helicopter Development Project, Turkish Main Battle Tank “Altay”, Coast Surveillance Radar Systems (SGRS) Program, Self-PropelledLow Altitude Air Defence Gun System “Korkut” and Modern Submarine Torpedo Procurement “Akya” Project Period-2 were accomplished. The report announced that the activities for the Life Cycle Management Strategy Document in which the principles will be identified were being conducted. 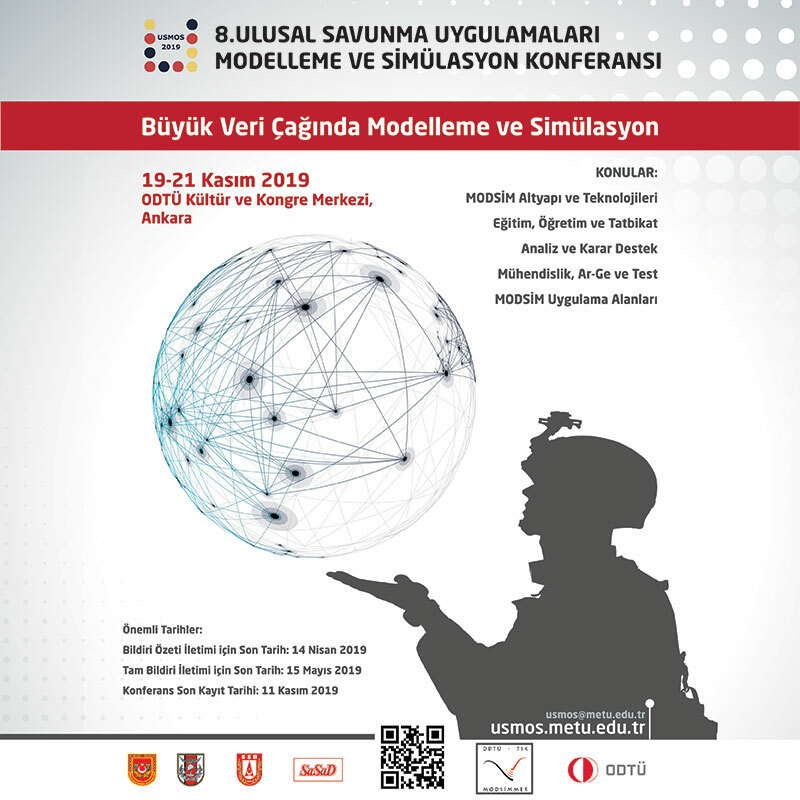 It was also mentioned that within the context of the procurement of the defense systems included/to be included in the inventory of the Turkish Armed Forces the Life Cycle Management approach would be used, enabling cost-efficient maintenance and sustainability to achieve a high combat readiness level. The organization of a Life Cycle Management Conference was planned for the second half of 2017 in order to strengthen the understanding and cooperation between stakeholders reinforcing the defense industry infrastructure through maximum utilization of the national defense industry capabilities and accomplishment of the sustainability of the industry. The Report also included that comprehensive participation from the Turkish General Staff, Armed Forces, SaSaD, MKEK, Turkish Security General Directorate, TÜBİTAK and company representatives was aimed for the event. The report declared that the total value of the 269 procurement projects, that have contracts signed by the Undersecretariat for Defense Industries, was approximately 122.5 billion TL (est. $ 33 billion ) and demonstrated the breakdown of these programs. According to this, 47.58% were domestic development, 20.7% were R&D Projects, 8% local off-the-shelf procurement, 10.8% overseas off-the-shelf procurement, 8.55% joint production, 2.60% service procurement and 0.74% were international consortium. The Project Model Distribution -based on the contract price- was as follows; out of the total amount bound by the contract, 42.74% local development, 37.4% joint production, 8.7% overseas off-the-shelf procurement, 6% international consortium, 2.93% local off-the-shelf procurement and 1.29% R&D. The report announced that 35 contracts were signed in 2016 and the value of these projects was 14.9 billion TL (est. $ 4.2 Billion). Upon analysis, the breakdown of the projects signed in 2016 demonstrates that the resources allocated for local development was ascending. According to this, 83.7% of the programs with contracts signed in 2016 were local development programs, 10.5% were local off-the-shelf procurement. In 2016, the rate of off-the-shelf procurement abroad was 0.63%. The report mentioned that as of 2016, out of 460 projects conducted by the SSM 269 were bound by contract, and 191 were in progress and that in 2016 Calls for Proposals for 27 projects were issued as well. In the concluding sections of SSM’S 2016 Activity Report, the total defense and aerospace export figures were declared as well. The total of defense and aerospace export in 2016 was $ 1.673 billion. 23% of this was through off-set and the remaining 77% was non-offset export. The rate of exports within Defense and Aerospace revenue was 33.7%. The rate of local participation within the framework of SSM projects was 68.5% and the share of the sub-industry within the revenue was 8%. Category-A industry participation was identified as participation with an off-set liability ratio of at least 70% of the contract price, and at least 30% of the off-set liability from sub-industry. It was stipulated that the SME business share and commitment must be at least 15%. In the Activity Report, it was reported that the industry participation / off-set liability to be realized in 30 years period was $ 10.3 billion. As of the end of 2016, a total of $ 1,756 million was allocated for industrial participation / off-set liability. The report wrapped up with overall remarks regarding the superiorities, areas open opportunity and suggestions made for improvement. Accordingly, the requirement for increasing the number of personnel due to the increase in the number and diversity of the projects was mentioned. It was also stated in this section that communication between the stakeholders and the revenue of the Defense Industry Support Fund needed to increase.